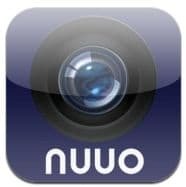 iViewer, the NUUO iPhone app is now available in beta for NUUO surveillance systems. The app is compatible with NUUO IP camera software, NUUO DVR cards, NUUO hybrid systems consisting of cards and IP licenses, and NUUO NVRmini network video recorders. NUUO software version 3.3.3 or higher and NVRmini firmware 2.4 or higher is required for compatibility. The iPhone app allows users to login and view their NUUO CCTV, IP based, and hybrid surveillance systems remotely over the Internet from the iPhone using a WIFI or 3G connection. The app also supports viewing up to six cameras on one screen, PTZ controls, and remote snapshot capabilities. This first release of is a beta and does not include support yet from NUUO. The next version will include full support from NUUO and CCTV Camera Pros. Compatible with NUUO NVR(IP+), Hybrid NDVR, NAS NVRmini and DVR Capture Card. The iViewer iPhone app from NUUO is available for download for free from the Apple app store. Please click on this link to download: Download NUUO iPhone App. CCTV Camera Pros is a master distributor for NUUO Surveillance. We carry the entire line of NUUO products and stock everything at CCTV Camera Pros Boynton Beach warehouse in Palm Beach County, Florida. You can shop online here in the NUUO surveillance equipment section of our website. CCTV Camera Pros ships all products worldwide. If you have any questions related to NUUO, security cameras, CCTV, or anything related to video surveillance, please visit our website at www.cctvcamerapros.com or call 888-849-2288.